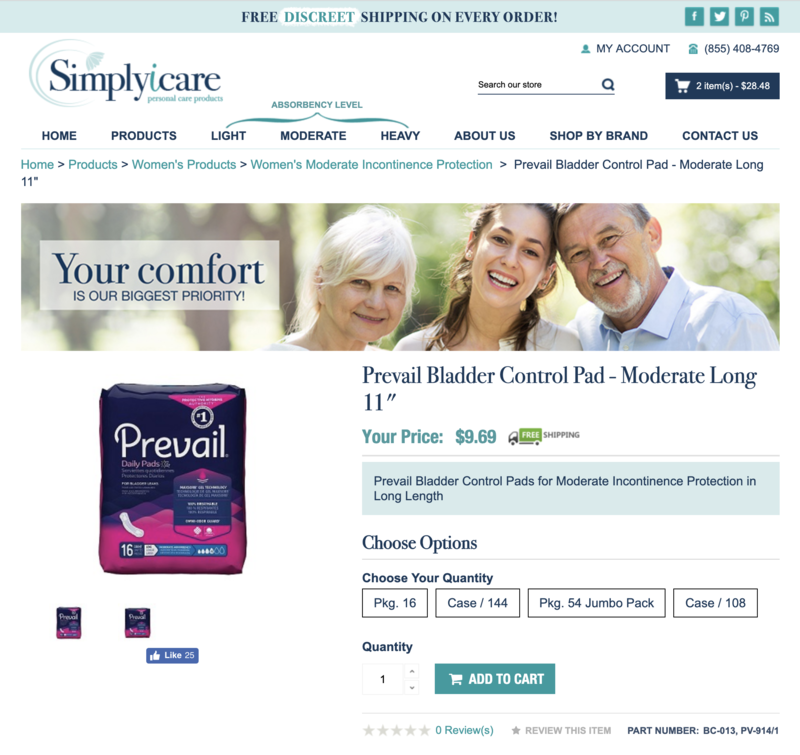 Simply iCare (or Simply Incontinence Care) was in need of a complete makeover. New logo, new website design for their shopping cart and updating of all social media networks. This project didn’t take much time but made a HUGE difference in the company’s overall appearance. 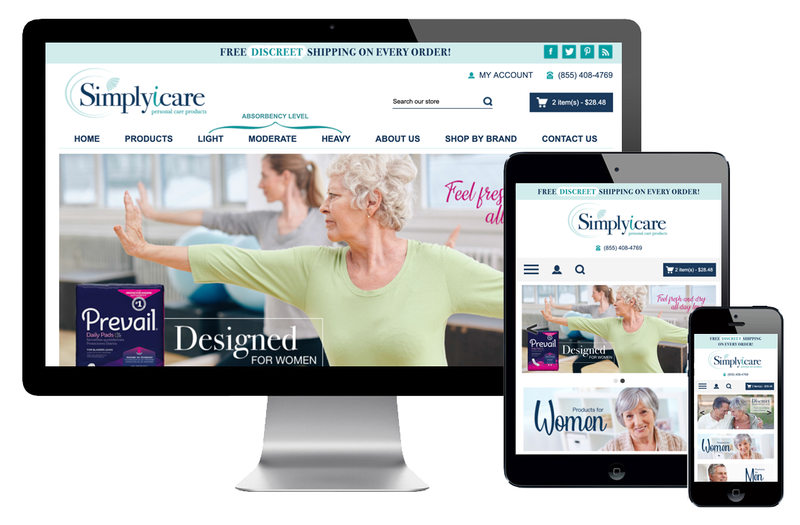 We really enjoyed working with Carolyn, the owner of Simply iCare, and plan on a having a long working relationship with her over the years. The main objective on this design was to bring things into more modern and easy to navigate design. 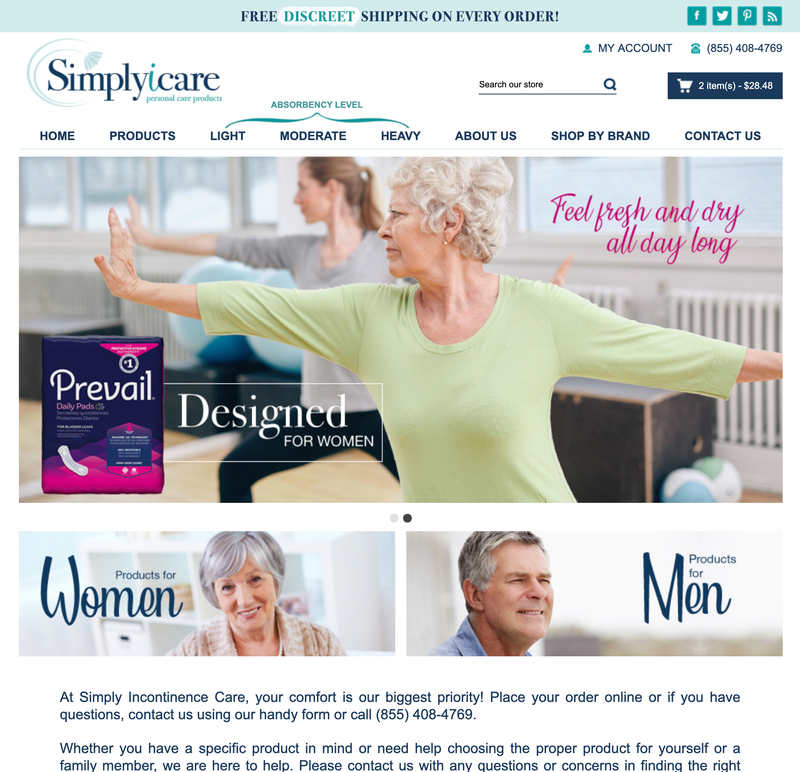 Working with a more senior crowd on this type of product, appearance needs to be easy, straight-forward and be accessible from both desktop and mobile – with no issues of course. We achieved all of that and couldn’t be happier with the outcome! Custom product pages were also added to make ordering super simple – which is always the key!